Lidl has overtaken Waitrose to become the UK’s seventh largest supermarket, the latest data from Kantar has shown. The discounter had hit a new high in the last three months, after growing its market share by 0.7 percentage points in the 12 weeks to 13 August. This helped it increase its share of the total grocery market to 5.2%, edging it above Waitrose for the first time. Waitrose’s market share remained stable at 5.1% and it also saw its sales also grow over the period, up 2.8%, but even the unbroken run of growth it has enjoyed since March 2009 and the growth of its branded offer, up 7% year on year, failed to protect it from the rise of the discounters. German discounter Lidl saw the fastest growth of all retailers, with sales up 18.9% over the three months, compared to rival Aldi’s 17.2%. Despite Lidl’s growth rate, Aldi remains ahead overtaking The Co-op to become the fifth biggest supermarket in February and now having a market share of 7%. Kantar Worldpanel’s head of retail and consumer insight Fraser McKevitt said ten million households have visited the retailer’s expanding store network during the past 12 weeks, and booze and fresh produce had performed “particularly well”. Sales were also strongest among families with children, with its sales among this group growing 40% faster than among non-children households. 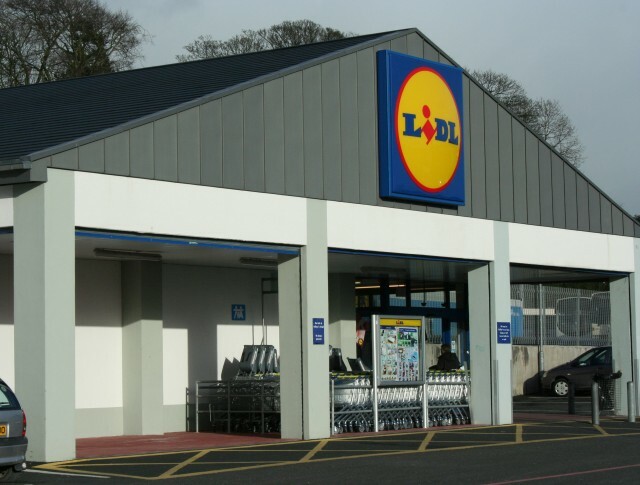 “Families tend to buy more items each time they shop, so strong growth with this demographic has helped Lidl to increase its average basket size year on year,” he noted. As a result of the growth of the discounters, the big four supermarkets have seen their market share slide from 76.3% five years ago to 69.3% today, and McKevitt warned that this was likely to fall further, despite sales growth at all of the big four supermarkets. “All four of Britain’s biggest grocers managed to grow sales for the fifth consecutive period, a run of collective success not seen since 2013. However, this welcome period of sustained growth hasn’t been enough to entirely offset pressure from the discounters,” he said. Strong growth was also seen at Ocado, which has a 1.4% share of the market, up 12.6%, and Iceland. Only The Co-op saw a decline in sales, falling 0.4%, although Kantar attributed this to its sale of around 300 of its smaller stores to McColls. The retail analysts also reported that like-for-like grocery rose slightly to 3.3% after remaining steady at 3.2% for the past two months.